PU TROLLEY WHEELS, POLYMER THICK WHEELS, PP HIGH IMPACT CLICKING BOARDS. PVC STRIP CURTAINS. RODS AND SHEETS ALL TYPES OF PLASTIC. 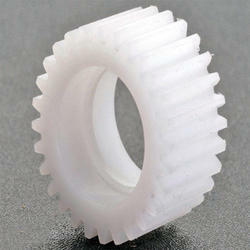 ALL TYPES OF PLASTIC GEARS MAKE FROM DRAWING OR SAMPLE. ALL TYPES OF CUTTING PCS AVELABLE IN ALL TYPES OF PLASTIC. High Density Polyethylene Rod (HDPE) is a FDA Approved material of the highest quality with excellent impact resistance.HDPE has high tensile strength,low moisture adsorption and is chemical and corrosion resistant.It is a light weight material that is non-toxic and non-staining and used in a variety of application and industries. 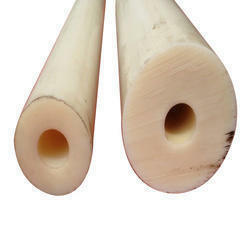 HDPE materials are available in both rod and sheet.If you have special requirements,custom cut sizes,special-order colors,fabrication or machining requirement. 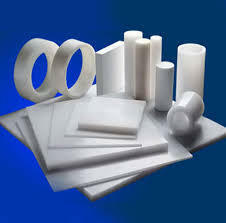 We are one of the leading manufacturers of PP(polypropylene sheets). 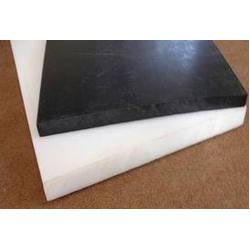 Offered in various widths, thickness and specifications, these polypropylene sheets are quality tested on well-defined parameters before being supplied to our clients. The detail description of PP Sheets. 30 mm to 150 mm Width Maximum 1000 mm. Compressed. 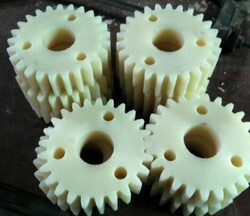 All types of gears manufactring by us. as per your drawing and as per your sample. 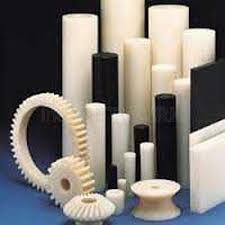 manufacturer of compressed, extruded and casted engineering components. We continue to strive for excellence in product quality by generally exceeding our customers requirements. Overtime our products will recieve additional and certifications across a wide segment of industries. 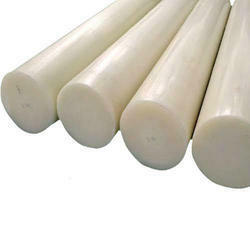 We cater wide range of Engineering Polymer shapes like UHMWPE, Cast Nylon, Polypropylene, Nylon, Delrin, PTFE, Hdpe, Rods, Sheets, Tubes, Profile & Customized Engineering Spares as per drawing. 15 % Graf oil P.T.F.E. 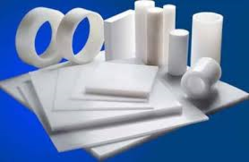 Ultra-high-molecular-weight polyethylene (UHMWPE or sometimes shortened to UHMW), also known as high-modulus polyethylene (HMPE) or high-performance polyethylene (HPPE), is a subset of the thermoplastic polyethylene. It has extremely long chains, with molecular weight numbering in the millions, usually between 2 and 6 million. The longer chain serves to transfer load more effectively to the polymer backbone by strengthening intermolecular interactions. 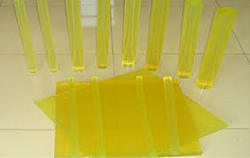 This results in a very tough material, with the highest impact strength of any thermoplastic presently made. It is highly resistant to corrosive chemicals with exception of oxidizing acids; has extremely low moisture absorption and a very low coefficient of friction; is self-lubricating; and is highly resistant to abrasion, in some forms being 15 times more resistant to abrasion than carbon steel. Its coefficient of friction is significantly lower than that of nylon and acetal, and is comparable to that of polytetrafluoroethylene (PTFE, Teflon), but UHMWPE has better abrasion resistance than PTFE. It is odorless, tasteless, and nontoxic. 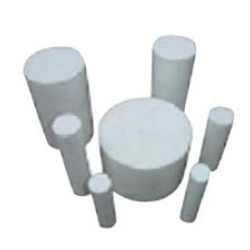 Polymerisation of UHMWPE was commercialised in the 1950s by Ruhrchemie AG, which changed names over the years; today UHMWPE powder materials are produced by Ticona, Braskem, and Mitsui. 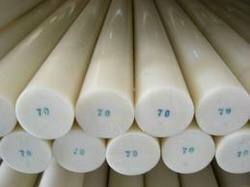 UHMWPE is available commercially either as consolidated forms, such as sheets or rods, and as fibers. 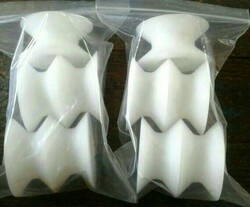 UHMWPE powder may also be directly molded into the final shape of a product. Because of its resistance to wear and impact, UHMWPE continues to find increasing industrial applications, including the automotive and bottling sectors, for example. Since the 1960s, UHMWPE has also been the material of choice for total joint arthroplasty in orthopedic and spine implants. 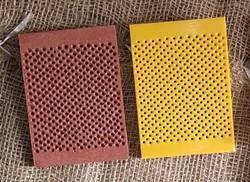 All types of comber boards in red fiber and yellow sheet. 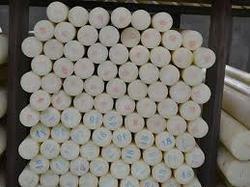 All size rods in metter and foot size. 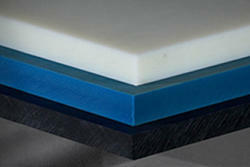 Delrin acetal homopolymer bridges the gap between metals and ordinary plastics with a unique combination of creep resistance, strength, stiffness, hardness, dimensional stability, toughness, fatigue resistance, solvent and fuel resistance, abrasion resistance, low wear and low friction. The acetal copolymer is more resistant against hydrolysis, strong alkalis & thermal-oxidative degradation than the acetal homopolymer. The latter, however , has higher mechanical strength, stiffness, hardness & creep resistance as well as a lower thermal expansion rate & it also presents a better wear resistance. *) High strength, stiffness & hardness. *) High impact strength, even at low temperatures. *) Very good dimensional stability. 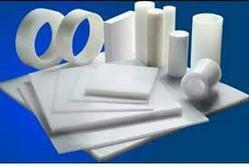 *) Good sliding properties & wear resistance. *) Excellent machinability. *) Physiologically inert (suitable for food contact) Polyacetal is very well suited for machining on automatic lathes & is particularly recommended for mechanical precision parts. 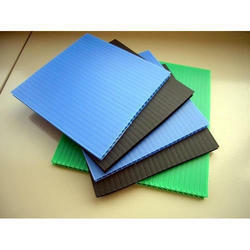 These Nylon / UHMWPE / Polypropylene Sheets are mainly being used in Stationary for File Folders & Computer Data Binders. Video Cassettes Covers. It has wide applications in Food Packaging like Box Fabrication two side protective layer for Beverage Cans, Thermoformed disposable cups, trays & containers, writing (black) boards and in Automobile Industries. Size : 1 feet and 1 mtr. All cutting size and maximum size is 1mtr x 1mtr. Keeping in mind ever-evolving requirements of our respected clients, we are offering a premium quality range of Industrial Polyurethane Rod. CASTNYON TUBE AS PER YOUR REQUIRMENTS. MANUFACTING SPARES ALSO AS PER CLIENT REQUIRMENTS.